There was a time that buying a phone with one carrier--say, T-Mobile or AT&T--meant you'd be stuck with that carrier forever. These days, though, you can "unlock" your phone and change carriers. That can save you money or let you take advantage of features only offered by another wireless plan. Or perhaps you have international travel in mind. If so, you might be thinking about buying SIM cards for the countries you'll visit--it was one of the ways we recently recommended in 5 Essential Ways to Connect to the Web When Traveling Overseas. It's one of the cheapest and best methods of connecting to the web and making voice calls while overseas. It's easy to purchase international SIM cards before you leave the US or after you reach your destination. But there's a catch: You need to insert these SIM cards into unlocked phones. But with the exception of Verizon, which now sells most of its phones unlocked, major US wireless providers still lock the majority of their phones so you can only use them on their own networks. Thankfully, each carrier is willing to help you unlock your phone, provided that you (and your phones) meet certain requirements. All carriers will refuse to unlock a device if it's been reported as lost or stolen, for example. And if your phone is under contract, you'll generally (although not necessarily) need to complete the contract before unlocking it. Have a prepaid phone? You'll usually need to keep it in service for a specified period of time before getting it unlocked. And there may be other, carrier specific, stipulations. Which kind of unlocking code will you get? When you go down the road of unlocking your phone, you might come across the term "unlocking code." If you do, it's helpful to know that there are two different kinds. 1. MSL. Most phones released in the US before February of 2015 use disabling technology along with a Master Subsidy Lock (MSL). That's when the Consumer Code for Wireless Service came into federal law. If a carrier gives you the MSL code, you need to present it to your new carriers in hopes that it will unlock the phone for use on their network. 2. DSU. 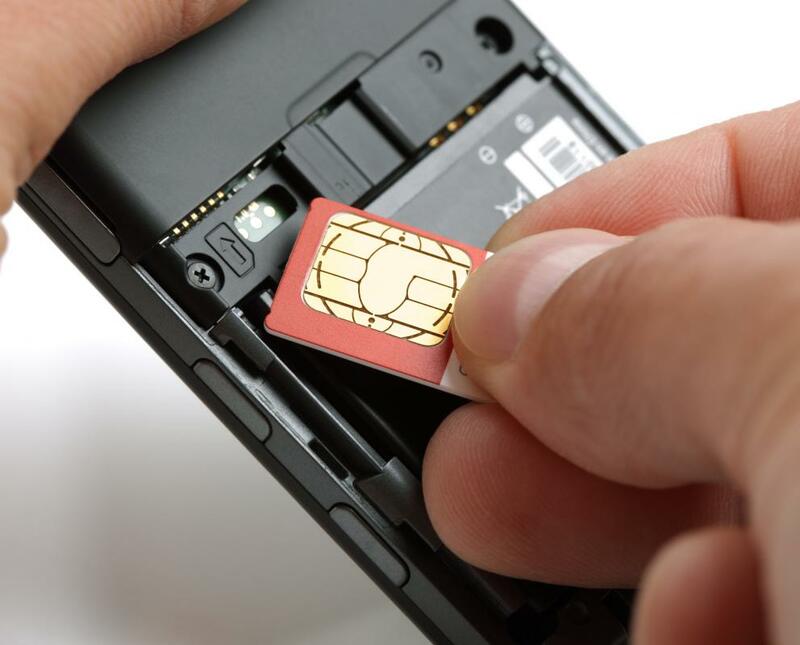 Most phones rolled out after February, 2015 use Digital SIM Unlocking (DSU) technology. DSU-enabled phones are designed to be unlocked through the use of special software programming code. If your carrier provides the DSU software code (along with instructions), you should be able to unlock the phone yourself. Another thing to consider: The four carriers have traditionally based their phones on fundamentally different standards. Phones from AT&T and T-Mobile support the GSM standard used in most countries anywhere on the planet. Older phones from Verizon and Sprint may only be equipped for the less common, US-only CDMA standard, but current models are more likely to offer both CDMA and GSM. Still, as T-Mobile points out on its website, "not all phones, tablets, and mobile Internet devices are compatible between every mobile carrier." Getting a phone unlocked with AT&T is relatively easy. Just about everything that you need to know and do is accessible from a few web pages. First, read AT&T Wireless' policy statement (or call AT&T customer service) to figure out if your phone, tablet, mobile hotspot, or other device is eligible for unlocking. For postpaid devices, the big requirement is that all installment plans have been completed and any early termination fees paid in full. If your device meets these requirements, you must fill out an online request form. You'll then receive a confirmation email with an unlock request number. After you confirm the unlock request, AT&T will send you a response within two business days. Assuming your request is approved, you are good to go. AT&T will email you an unlock code with directions for how to use it. AT&T has a simple online process for determining your eligibility. What if you are using a prepaid AT&T GoPhone? Well, there's an extra requirement that the GoPhone must be active for six months of paid service before unlocking. No matter whether you have a prepaid or postpaid phone, you can determine if your device is eligible for unlocking on the myAT&T website. One other thing: The iPhone doesn't use an unlock code. So if you own an AT&T iPhones, you can just remove the AT&T SIM card and insert one for a new carrier after receiving the note of approval from AT&T. T-Mobile's requirements are more stringent than AT&T's, and you'll find more differences between the rules for postpaid and prepaid devices. For either type of phone, you're ineligible if you've asked for more than two unlock codes per line of service over the past 12 months. Also, at its discretion, T-Mobile can request proof of purchase from you. The company also stipulates a number of additional requirements for each of these two types of phones. To give just a couple of examples, a postpaid device must be active on T-Mobile for at least 40 days before your can make a request, even when no contract is in place. If the device is prepaid, if must have been active on T-Mobile for for than a year. There are a whole bunch of other requirements, so make sure to read all of the fine print or call T-Mobile support for more information. In any case, it your phone meets all requirements, things get a little simpler. You merely use T-Mobile's Mobile Device app to try to unlock the device. If your device doesn't support the app, then contact T-Mobile to ask for an unlock code with directions for use. Of all of the four major carriers, Verizon is the friendliest when it comes to unlocking. In fact, the company no longer locks any of its 3G or 4G devices, either prepaid or postpaid,with three exceptions: non-iPhone 3G World Phones and both 3G and 4G prepaid Phone-in-the-Box devices. The code to program non-iPhone 3G World Phones for use with other carriers is either 000000 or 123456. To become eligible for unlocking, the prepaid 3G Phone-in-theBox devices are restricted to use with Verizon's prepaid service for six months and to use on Verizon's network for a total of 12 months after activation. On the other hand, before you can unlock a 4G Phone-in-the-Box you must use it for one year with Verizon's prepaid service or pay "the amount specified on the back of the Phone-in-a-Box package." After your family has met the requirements for the Phone-in-the-Boxes, you can call Verizon at 888-244-6804 to get instructions for unlocking. Sprint's requirements are more complicated than those of any of its rivals. Sprint draws distinctions not only between postpaid and prepaid phones, but between MSL and DSU-capable devices and domestic and international networks. It's... confusing. Because Sprint devices launched before February 2015 used MSL technology, these phones cannot be unlocked to accept a different domestic carrier's SIM for use on a non-Sprint domestic network. "Sprint has no technological process available to do this," the company contends on its site. But Sprint states a separate policy for international travel. Sprint is "sometimes" able to unlock some SIM-based phones to allow it to work with a foreign carrier's SIM card, thereby allowing it to be used on the overseas network. Recent iPhone and Samsung Galaxy models sold by Sprint can be unlocked both domestically and internationally, whereas older models in these series can only be unlocked internationally. Generally speaking--and we are soooo sorry for the mouthful abbreviations that are about to follow--Sprint will either unlock a DSU-enabled postpaid device or provide the MSL for a non-DSU-enabled postpaid device if the customer is up to date with all payments to Sprint and meets a few other mild stipulations. Also, customers must have completed their contract terms with Sprint. For customers with DSU-capable devices, Sprint will simply unlock the phones once they become eligible for unlocking. When the owner of an older phone become eligible to get a MSL codes from Sprint, Sprint will send the customer either a bill message or text message. However, if you think you're eligible to receive a code and haven't gotten one yet from Sprint, Sprint encourages you to call its customer service department. Additionally, Sprint will not unlock any of its international (Sprint Global) phones. Yet Sprint also cautions you that unlocking a Sprint device does not necessarily mean that the phone will work well on another carrier's network--or even that it will work at all. For example, an unlocked, DSU-capable Sprint phone might work for voice services on another network, but not for data, according to Sprint.